At the Theater of the Moscow Soviet held a farewell to the People's Artist of the RSFSR Sergei Yursky. 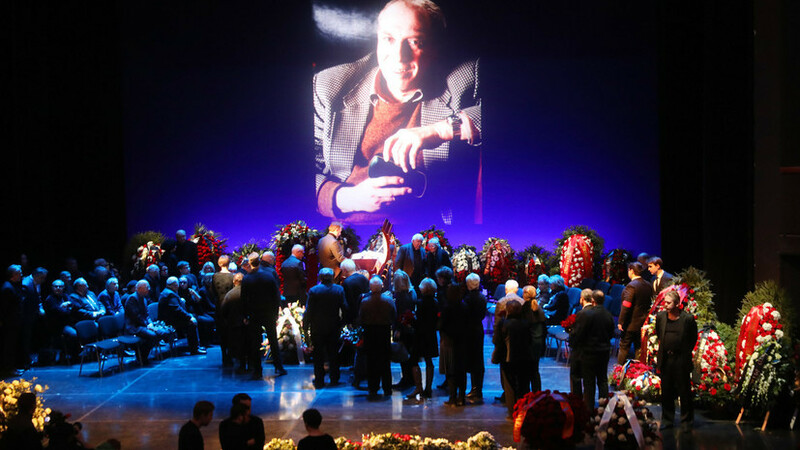 Hundreds of people came to honor the memory of the actor, including his colleagues Dmitry Nazarov, Gosha Kutsenko, Oleg Basilashvili, Vera Vasilyeva and Olga Ostroumova. The Minister of Culture of Russia Vladimir Medinsky and the Chairman of the Moscow Department of Culture Alexander Kibovsky also attended the farewell ceremony with the artist. Buried Jurassic at Troyekurovsky cemetery.